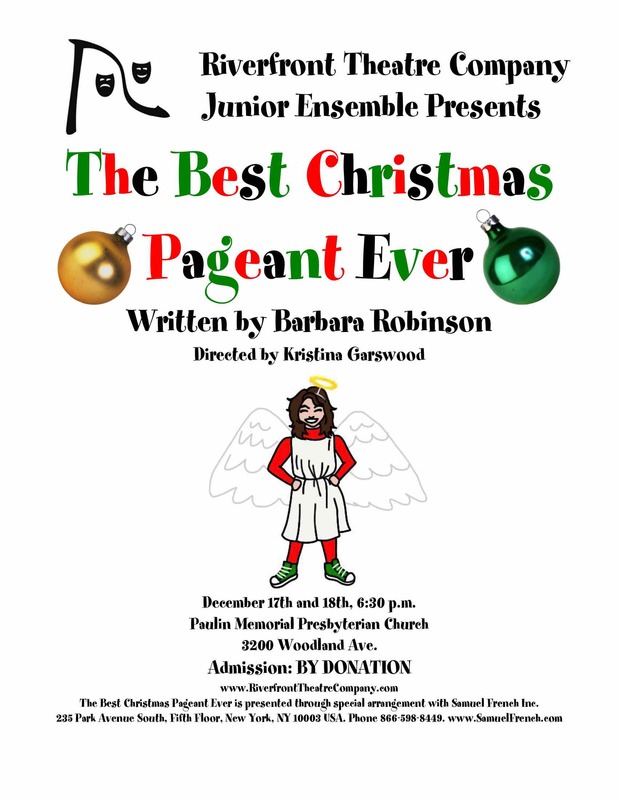 Our Juniors are opening this weekend with The Best Christmas Pageant Ever! We’ll be performing at Paulin Memorial Church at 3200 Woodland. There is NO admission cost – we accept donations at the door for the program, and for our bake sale. It’s a chance for our little ones to get their feet wet and to get over any stage fright before joining the Seniors in their big musical in the spring. We hope that you will come out to join us for our performances, which will be held Saturday and Sunday, December 17th and 18th, at 6:30 pm. It’s not a long show, about an hour, and the audience is welcome to sing along during the show’s Christmas carols. Previous: Previous post: So…When We Say "Break a Leg…"
Next: Next post: Narnia: The Early Chronicles – About to Open!